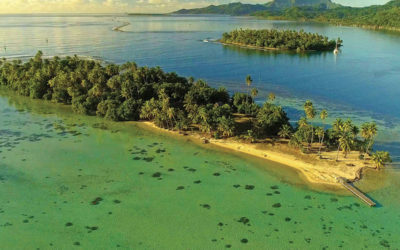 Located on a small « motu » (islet) in the North of Tahaa island, 30 minutes by boat away from Raiatea, the Hotel La Pirogue Api offers tranquility and authenticity of French Polynesia. 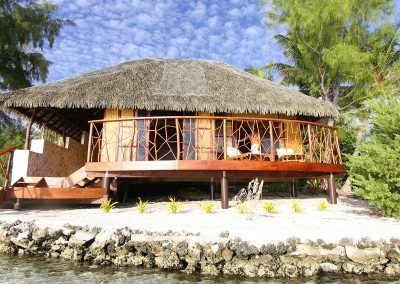 Nestled in the middle of a coconut grove, these 4 Beach Suites are built in the Polynesian style. 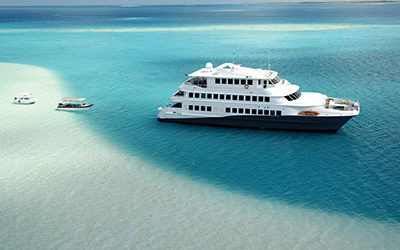 They all are equipped with a mini-bar, a flat screen TV and a ceiling fan. 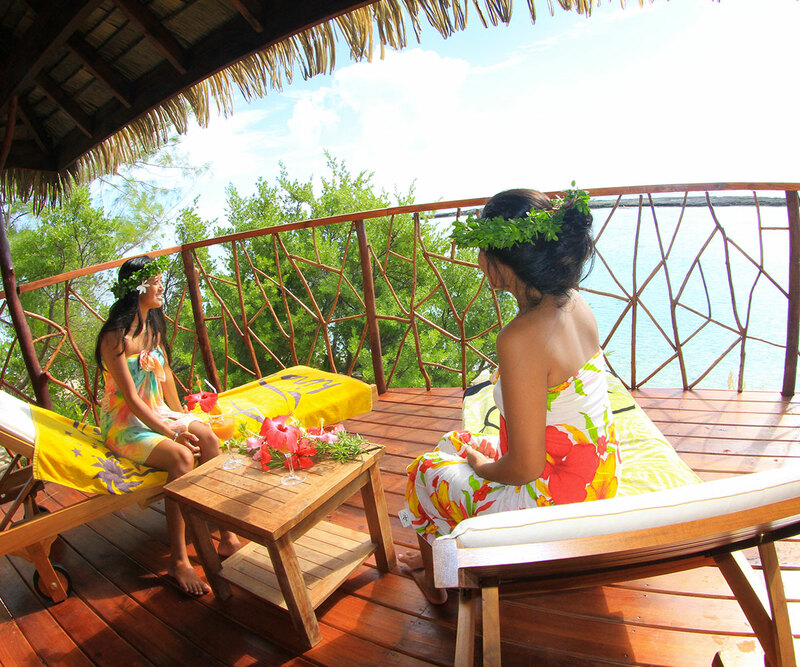 Enjoy the originality of the private open air bathroom and spa bath. 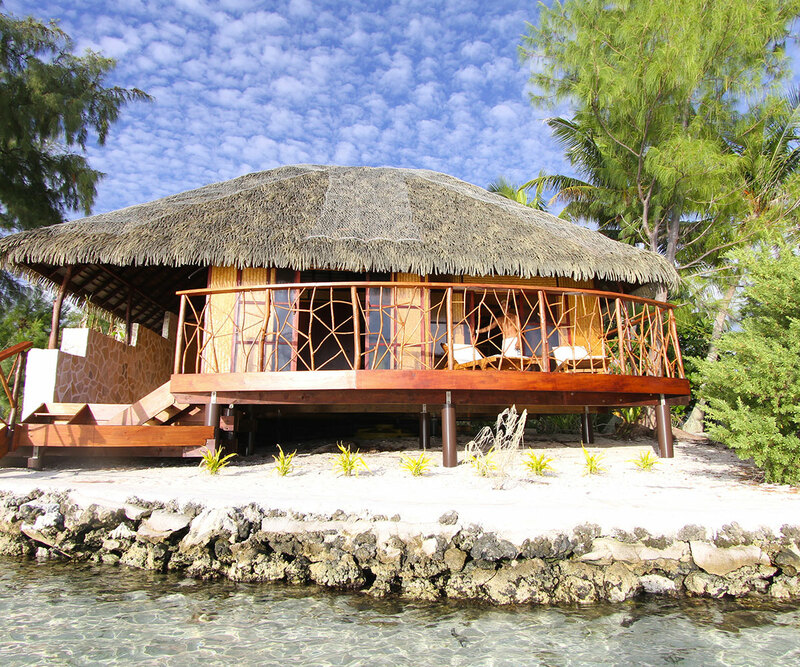 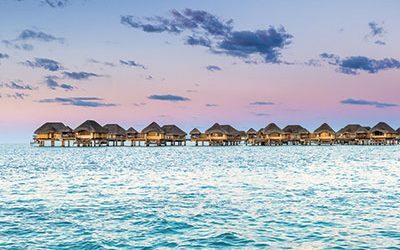 Your private terrace has direct access to the lagoon so you can enjoy a view on Bora Bora, sipping a cocktail while enjoying the amazing sunsets. 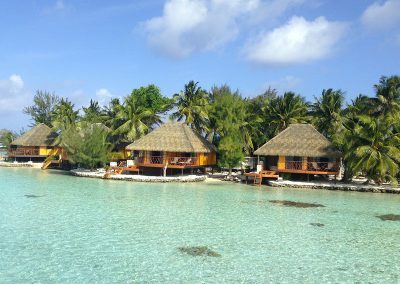 The Poe bar and restaurant Vanira will be delighted to serve you a cocktail, or a romantic lunch or dinner. 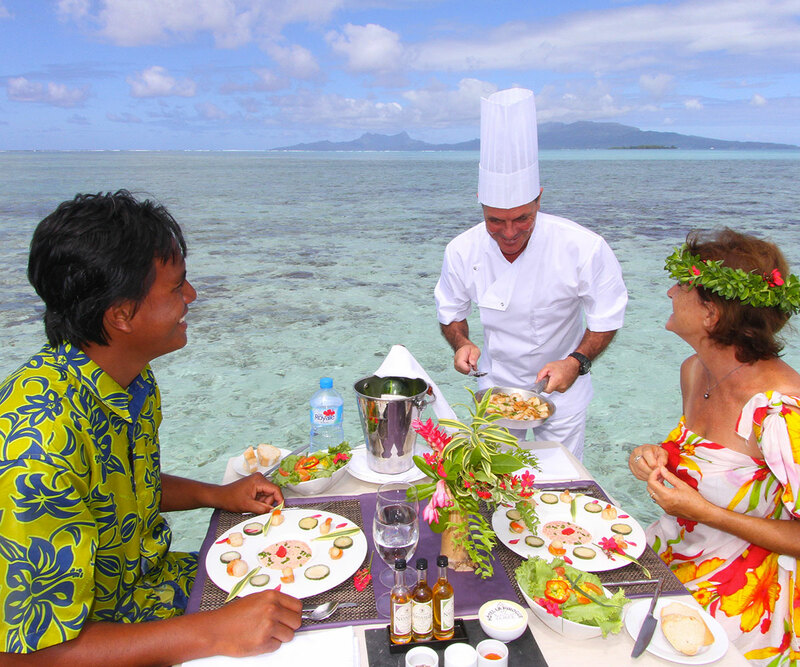 The resident chef will tempt your taste buds, artfully combining Polynesian flavors with an Italian twist. 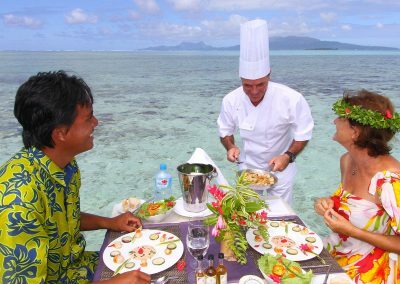 Notably, this Italian Chef was awarded the second best Chef of the Leeward Islands in 2008. 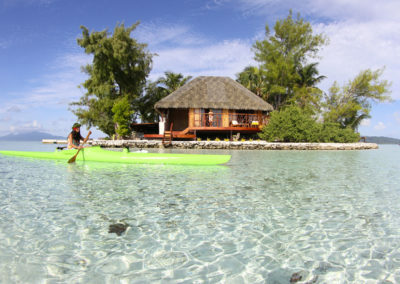 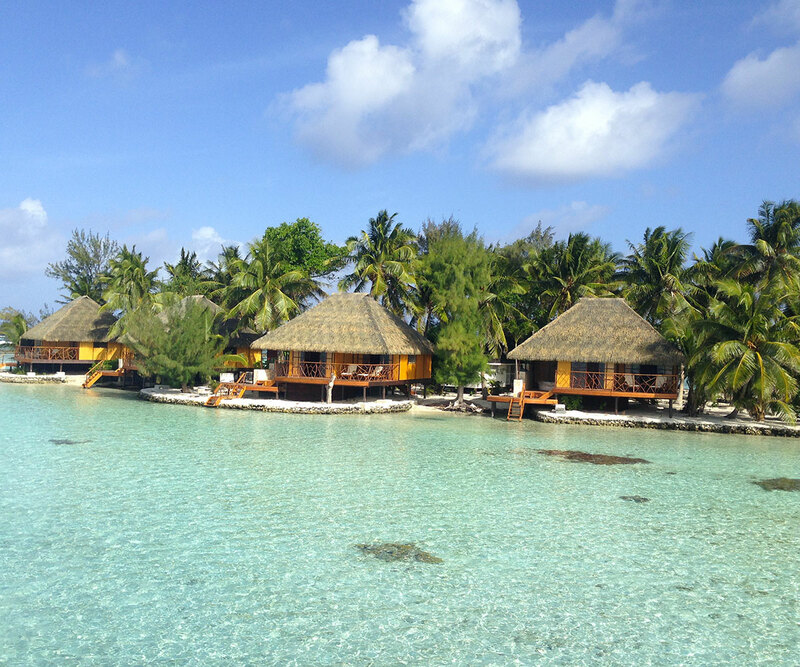 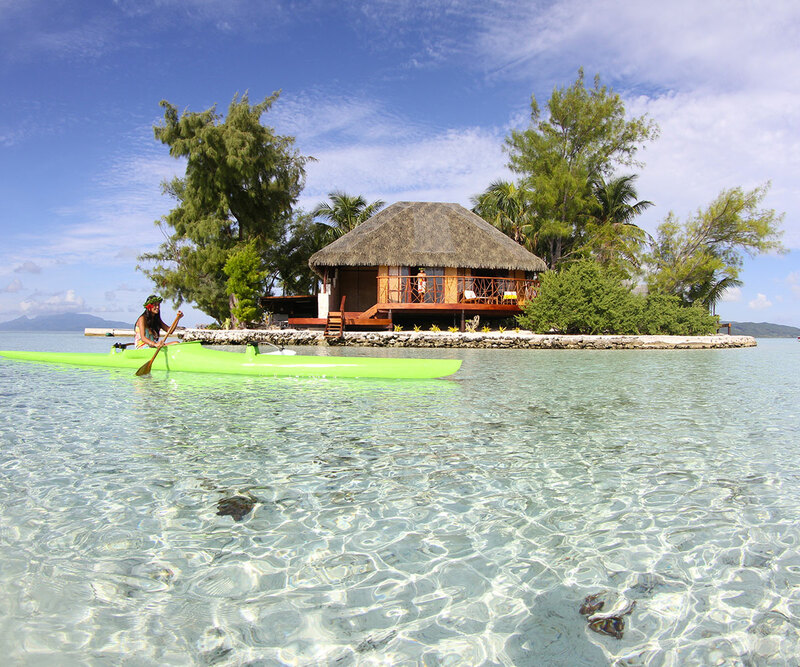 Come and spend an unforgettable stay on this small motu with a taste of paradise.